CA Technologies (NASDAQ:CA) today revealed results of an Asia Pacific & Japan (APJ) study that showed that Thailand is the most digitally disrupted market in the region. With 95 percent of business and IT leaders in the country stating that the market has been impacted today, as compared to 80 percent average across the region. In addition, 95 percent of respondents indicated that their organization has been impacted today by digital disruption and almost all of them (98 percent) said that their job has been changed by it. Thailand ranked the highest in APJ for these two aspects as well, scoring well above the APJ average of 78 percent. The study also showed that there is a high level of confidence – amongst the 97 percent respondents surveyed – that their organizations are equipped to be competitive in the next three to five years. Despite the positive outlook, businesses have yet to capitalize on the potential of digital transformation today. Only 44% of the respondents surveyed, the lowest percentage in the region, indicated that their organizations have digital transformation projects launched with clear corporate goals. Furthermore, only seven percent of the respondents shared that they are fully digitalized their organization and another 17 percent have fully-formed digital transformation strategies. “Digital transformation can disrupt the competition when it is approached holistically and used to create new products and services, improve customer service and even build different business models or revenue streams,” said Nick Lim, vice president, ASEAN & Greater China, CA Technologies. In a new world that is defined by digital engagement, the competitive differentiation for organizations, and even governments, is increasingly determined by their ability to transform themselves digitally and build software into their business strategies. The survey found that 1) meeting of changing customer expectations, (2) fast evolving economic conditions, and (3) using digital transformation as a new edge in winning against traditional competitors were the biggest pressures for digital transformation in the region. This finding mirrors the top three business priorities that organizations in Thailand are focused on solving today, namely optimizing operational efficiency, reducing operational costs and improving workforce collaboration. The discrepancy between business priorities and the digital transformation drivers is particularly evident when it comes to customer experience. Although changing customer expectations is highlighted as the top pressure for digital transformation, improving customer experience is ranked fifth out of the seven priorities. 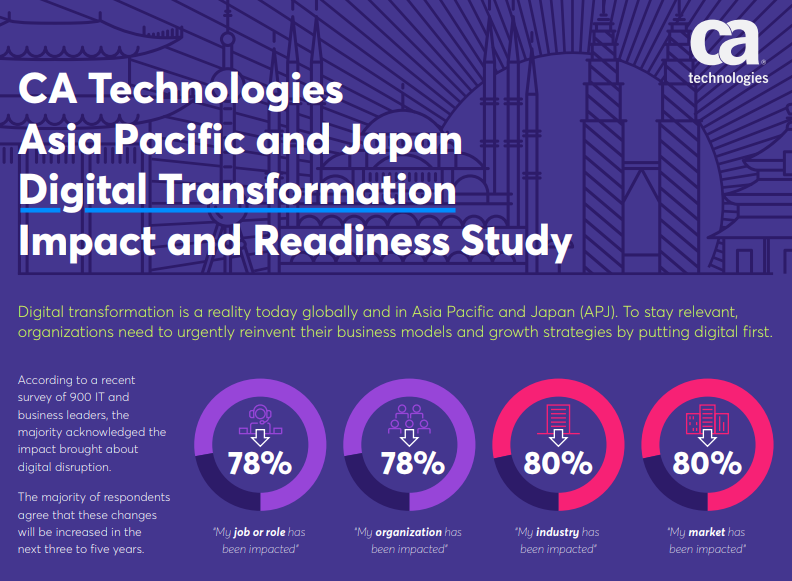 While organizations in Thailand still have ways to go in terms of digital transformation readiness, one of the areas that Thai business and IT leaders are faring better than their APJ peers is their confidence in their organization’s IT capabilities to support digital transformation. In fact, one in two respondents (51 percent) stated that their organization has clearly laid out a roadmap and role that technology plays in the company’s digital transformation vision, which is the highest percentage across the region. “To stay competitive in the digital era, organizations need to be Built to Change. By building software into the business DNA, organizations will be able to deliver an enhanced customer experience; with insights and tools to shape and predict new customer demands, create new services and business models. The Modern Software Factory blueprint helps businesses leverage software to achieve their digital transformation goals and win in the market,” added Lim. CA Technologies commissioned and completed a survey of 900 business and IT leaders across nine markets in the APJ region – Australia, China, Hong Kong, India, Japan, Malaysia, Singapore, South Korea and Thailand – in late 2017. The objectives of the study were to measure the impact of digital disruption in the region and understand how organizations are managing their digital transformation. All survey respondents came from mid- to large-sized organizations with more than 250 employees, with almost half (47 percent) of those interviewed representing large organizations with more than 1,000 staff. All respondents were decision makers – 74 percent for business decisions and 26 percent for IT decisions. 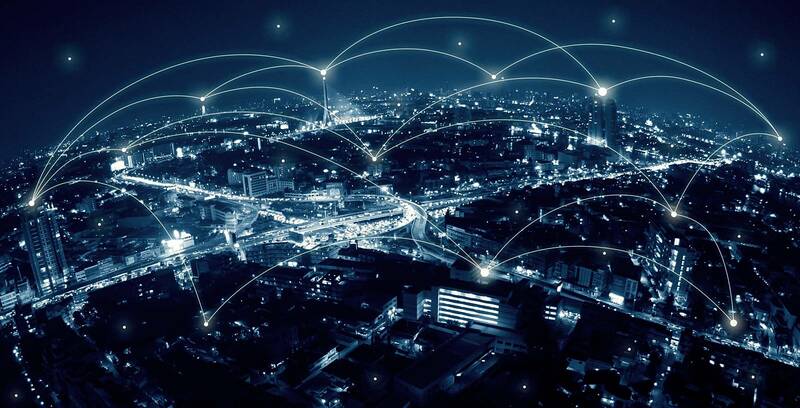 All surveyed leaders were also involved in digital transformation initiatives in their organizations, with 74 percent being key decisions makers in digital transformation projects.